Digital comics have been around for a while, but it wasn’t until a couple of years that things started to really get organised. There were various options out there for quite a while, reading comics as PDF documents, reading them in weird web browser versions, all sorts of stuff. Then the rise of tablets started, they became more popular and the price came down a little as many alternatives came out to the leading brand. Then a couple of prominent digital platforms sprang up for comics. Comic companies, keen to explore all new avenues of revenue, developed their own apps for the sale of their comics. Roughly three years ago a comic company tried their first day and date experiment, releasing the digital comic on the same day as the printed copy. The retailers kicked off, announced the physical comic shop was going to die as a result, the industry was doomed and digital comics were to blame. It turned out they were wrong. Digital comics sales didn’t cannibalise physical comics sales, in fact, over time as we saw a proliferation of digital comics, the opposite has happened. Sales of physical comics increased. Digital comics are simply another sales channel, and people are buying more comics as a result, sometimes double dipping (buying digital and then physical trade paperback collections). Small aside. Mark Millar, isn’t a believer in digital comics. He’s a strong supporter of comic retailers. He thinks digital comics are just for casual fans. I think he’s wrong. He seems to be ignoring the obvious, not everyone has easy access to a comic shop. Not everyone can get physical comics regularly in other countries, and when they can get them, they may be months behind. So they can’t take part in any part of the worldwide comics community without having stories spoilt for them, they can’t read the websites, listen to the podcasts, attend the shows. Digital comics allows fans, anywhere in the world with internet access, the ability to be an active part of the comics community. Despite being a lifelong comic book fan I know how intimidating comic shops can be to newcomers to the medium, and I’ve spoken about this many times so I won’t labour the point. Digital comics platforms allow an individual to browse as many comics as they want without any pressure to buy, or to be experts on everything straight away. Because there is a bit of that mentality in some comic shops and I hate to see it because it scares away new readers. With digital comics, people can find their own way, dig around, try a few comics and see what they like and don’t, and if they then want to, and feel comfortable enough, will visit their local comic shop. Hopefully. Because there are all sorts of treasures and artefacts in comic shops, like oversized hardback editions, limited edition special prints, rare comic covers by all sorts of artists, absolute editions, signed comics and a tonne of other stuff. Don’t even get me started on the joy of the monthly pull list. There’s also being an active part of your local comic community, attending local meet ups and events and conventions. In 2011 DC comics rebooted their whole comic book line. Every single monthly comic book was reset and all 52 titles started over with a new number one. To attract new readers, to refresh everything, and to plant a flag in the sand. They also did something else very interesting and bold that no one had ever done before. Every single book was scheduled to be released on a day and date schedule. Again the retailers kicked off, cursed DC, promised not to stock their books, all sorts of stuff. There were discussions and compromises and now digital comics typically cost the same as physical comics for at least the first month, to encourage people to go into their local shop and buy the actual book. After a month or 6 weeks, the price of the digital version drops slightly, because by then, the physical comic is often off the shelves in the shop, so it’s no longer direct competition. A little while later Marvel followed suit and now many, if not all, of their titles are also available in a digital format on release day. 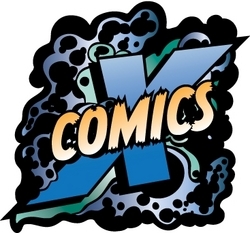 ComiXology is now the largest digital comics retailer. They’re the iTunes of digital comics, selling comics from pretty much every large publisher and many smaller publishers. Recently they’ve even opened the doors a little, so really small indy publishers can submit their comics to appear on ComiXology. Other channels for digital comics are still available, but they’re the big dog. So, that journey has been going on, and I’ve been watching it for the last few years very closely. Now I’m not a gadget guy. I don’t like cars, don’t want the latest phone, don’t care about brands or fashion, it’s just not my thing. I’m definitely not an e-book reader. I love physical books. I understand why ereaders are useful and why some people like ebooks, and again I see them as another channel, but they’re not for me. I had the same attitude to digital comics for a long time too. Then I ended up with a tablet. Essentially I did some work for hire and I received the tablet as payment. So, I downloaded a few digital comics. There are things I don’t like about digital comics, and I still buy and prefer physical comics, but my initial dislike has now shifted. I sometimes double dip, buy the first couple of issues of a title and if I enjoy it, I will switch to physical trade paperback collections which I buy from my local comic shops. I sometimes buy digital only comics, those crafted for mobile devices. About a year ago I tried an experiment, to read a monthly comic book only in digital format and see what happened. Sadly, through no fault of my own, the experiment ended, as the title I was following ran into trouble and it disappeared after 2 issues. So now I’m trying the experiment again. 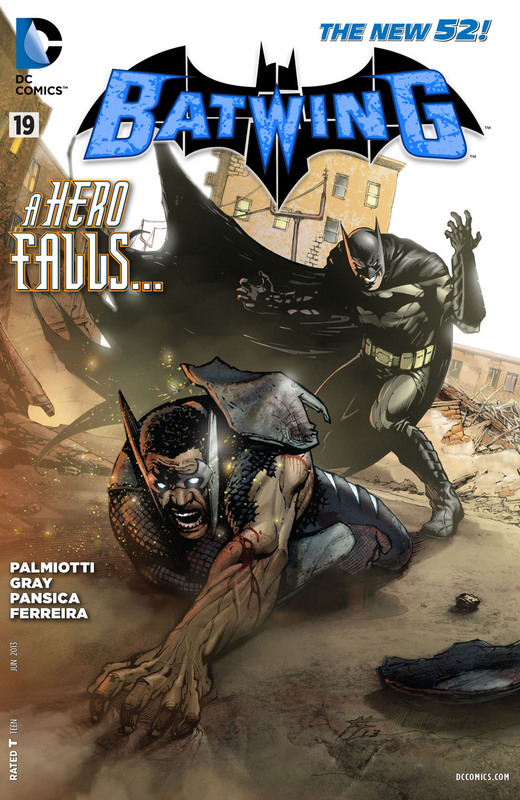 Batwing, one of the new 52 monthly comic book titles from DC, recently went through a refresh, with a new pair of writers and a shift in the story. It’s a great jumping on point, I like the writers and artist, so now I’m on board. I’m going to try and read it on a monthly basis, digitally, and see what the experience is like. Hopefully this title will be around for a while so I will have some time to explore a longer story, but purely from a digital standpoint. I can already see some pros and cons, but I’ll come back to this in a few months and do another post. As ever, if you’re interested in getting into comics, want to read them but don’t know where to start, then get in touch and I’m always happy to point you to some titles to match your interests and favourite genres. Excellent article. It’s funny how everyone believes digital is going to ‘kill’ brick-and-mortar but they’re perfectly okay for the shops to operate under a distribution monopoly that allows for no competition in terms of product or pricing. Digital comics do skew toward casuals or newcomers and that’s a good thing there’s someone who’s catering to that market. Most of the local shops in my area are very univiting environments period — often staffed by salespeople who have little or no concept of how to work retail. ‘Regular’ customers are encouraged to just hang out, engage in inappropriate public conversations using obscene language — which the salespeople are often directly engaged in — the spaces are disorganized and in dire need of a little elbow grease to clean and make it presentable. Don’t complain about how digital is eating your lunch when you can’t follow basic retailing principles and create an environment that wins over customers and makes them want to come back. Where does the first panel come from? If digital are an entry point for newcomers, or they increase the number of comics being bought by casual readers, it’s all good for business. Let’s be honest, the industry needs a lot of new readers, new blood, new people coming in who want to be creators, women and men. Doing everything the same for decades because that’s the way it’s always been, not staying up to date with technology, will kill any industry and the comics business is no different. That also goes for retailers who have to adapt to changing market conditions or they will go out of business. 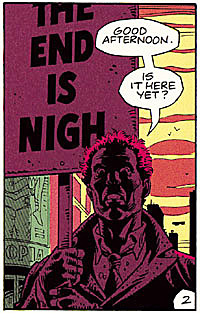 I also think a lot of long time comic fans are buying digital as well, not just casual fans. When they can’t get to the local shop, or it sold out of an issue, or they want to try something on a whim and it’s easy to just click and buy a mini series. I’m very lucky, both of my local shops are bright, friendly, clean places where they’re inviting to all people, and while regular customers do enjoy banter with the staff, it’s never inappropriate. They both also have a range of events, around comics, gaming and even just get togethers for fans, to build, maintain and support the local community which is how it should be in my opinion.